Our Motto is 'Focus on Function'. Our dedicated and highly trained team is committed to delivering the highest quality therapy experience possible. The clinic is considered a neighborhood fixture and we are well known for our comfortable, relaxed environment. We believe this laid back environment contributes to our impressive record of speedy recovery times. Clinic owner, Michael Feely, R.P.T., established Southeast Physical Therapy more than 30 years ago. Michael has extensive eperience both as a patient and as a practiciouner, using the osteopathic manual therapy techniques. 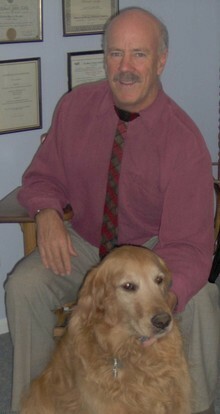 He obtained his original degree in Physical Therapy from California State University at Long Beach in 1974. Afterward he worked in various hospitals and other physical therapy clinics in California and Colorado, before finding a home here in Oregon. He is a member in good standing of both the Oregon Physical Therapy Association and the American Physical Therapy Association. When he's not at work, Michael is an avid tennis player, singer, musician, amateur screenplay writer and is owned by a lovely Golden Retriever named 'Andy'. To arrange an appointment, please contact our firiendly team.